Movavi Video Editor is a powerful yet easy-to-use video editor for Windows and Mac. While looking at the interface and the work flow it provides, we are 80% sure that this is a great programs that novice and intermediate users like to use. Regardless of its really great price, Movavi provide full set of basic and advanced video editing tools such as: split, crop, delete clip as well as Chroma key, Pan-and-Zoom, Highlight and Conceal or Stabilization. These features are enough for creating your Hollywood style home movies. 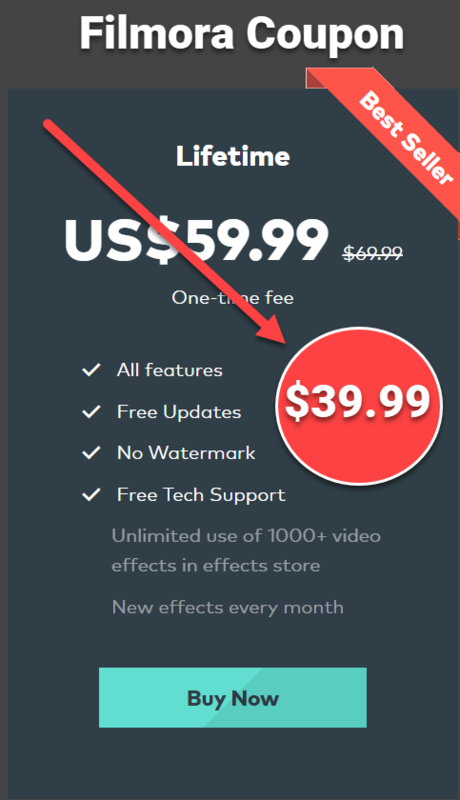 Movavi Video editor has two versions with different price for Windows or Mac. 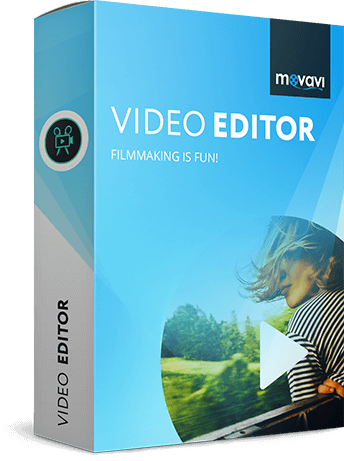 Movavi video editor for personal stands at $39,95 and Movavi video editor for Business cost $79,95. PROS/ Movavi video editor is a professional software that can help you transform a raw clip, footage into polished, high quality videos. It is an excellent software with great price – starting at $39,95. CONS/ Although the software provides a built-in screen recorder for making screen-cast but it seems doesn’t work and we must pay more to get it (in Movavi Video Suite). The interface looks nice but lack of Story board View like some other professional video editors. ∑Our Conclusion: If you are trying to look for a simple to use video editing software, you can trust Movavi. You don’t need to worry about your video editing skills since it is as easy as eating a pieces of cake. Full Feature Mode: All you need is here! Movavi video editor has a really simple editing interface with main features icons on the left of the window, a preview screen on top-right of the windows and time line at the bottom. This is a common arrangement of a video editing software. If you have tried some other names like Filmora, Shotcut or Lightworks, you will recognize that most of them has the same editing interface. In a few words, I can say that: the interface is intuitive, simple to use, easy to navigate. The dark color skin is good for our eyes too. Recently, I looked at Movavi Video Suite and saw that there is a library for storing the clips we want to edit. Maybe, this is the reason why we can’t get it in this video editor. In Movavi, you have only one option: Time line view for editing video. All the basic video editing tools such as: delete, split, rotate, crop video and color correction, adjust audio and so on are located on the editing tools bar. While the major effects like Filters, Transition, Titles, Callouts and special effects are on the left of the editing window. This is a nice arrangement to save our time in editing video as well as helping us control the project easily. In order to apply Filters, Transitions or Titles (text) to the video, you can drag-and-drop it to the video or Right click and choose “apply to selected clips or apply to all clips”. You can also find Stickers, Callouts or Special effect tools here. By right clip on the clip–> tools, you will also see all the advanced editing tools. Well, it is a little bit difficult to explain all of its editing features in this short review article. It’s better to watch a short video at the end of this post to understand exactly how it works. Once you had finished editing, Movavi allows you to export your video into various video and audio formats, export to Android devices, TVs or Apple devices or sharing directly online. It seems that they are catching up with the modern technology of video editing industry. During our speed test, Movavi gives end results quite fast at a suitable time. We are happy until the end. Save as video: You can choose desired video quality and set up specific resolution. Out put file types are: AVI, MP4, MOV, MPEG, WMV, MKV, FLV, M2TS, DVD, WebM…and so on. Upload to YouTube with a login account when you want to share your video directly. Save for Apple devices, TVs and other devices. As said at the beginning of this post, Movavi video editor has different options for personal and business. You can take a look at these packages yourself. Click below buttons to access to Movavi’s product description page and download it for your Windows or Mac computer. New feature: automatic video creation! Have a load of travel videos and photos you want to share with your nearest and dearest? Want to make a movie about a memorable event, like a wedding or graduation? With Movavi Video Editor, you can create spectacular videos, even if you don’t have any movie-making experience! The program has no complicated settings, just intuitive drag-and-drop controls. Try Movavi Video Editor for free and see how simple, yet powerful, it is! Import videos and photos in any popular format from your camera, smartphone, or hard drive. Save your movie for viewing on a computer, mobile device, or even 4K TV. Upload video to YouTube right from the program. New in version 14 – Montage Wizard! Have a ton of videos from a recent trip? Don’t waste time picking out interesting scenes by hand – leave it to our smart Montage Wizard! The Wizard will quickly edit your video material and make an instant movie with the music of your choice. Built-in media: Use video clips, backgrounds, music, and sound from Video Editor library. Video stabilization: Remove motion distortion without affecting overall video quality. Picture in picture: Combine multiple videos on one screen. Audio editing tools: Adjust audio frequency, normalize audio, remove noise, apply special effects. Webcam capture: Record video from your web camera. Beat detection: Automatically detect audio rhythm to sync with the tempo of your project. Audio recording: Record your own voiceover via microphone, capture sound from musical instruments. High-level performance: Edit and export videos without delay, thanks to support for Intel® hardware acceleration. Movavi Video Editor for Windows lets you edit video easily and achieve good results in no time! Administrator permissions are required for installation. With a reasonable price, starting at only $39,95 we can’t expect more from this product. It is simple, and useful tool for beginners, intermediate users who are about 80% of video editors in the world I guess. 7 days free trial maybe a good start before making you final decision. If you have any question, feel free to share with us here.